If you’ve been around the blogging community now, I’m sure you’ve heard many a blogger talk about the importance of defining your niche as a blogger. And it is important. Sort of. But there’s a much more important question to be asking. Something that will give you a clearer picture of where your blog is heading and why. It also gives you the freedom to cover more than one topic on your blog without it becoming confusing. This question is: Who is your target reader? Defining who you are writing your blog to is one of the most important things you can do for your blog. Instead of putting yourself in a box that only allows you to write on one topic, it allows you to cover everything in life that is relevant to your target reader, so they stick around longer. 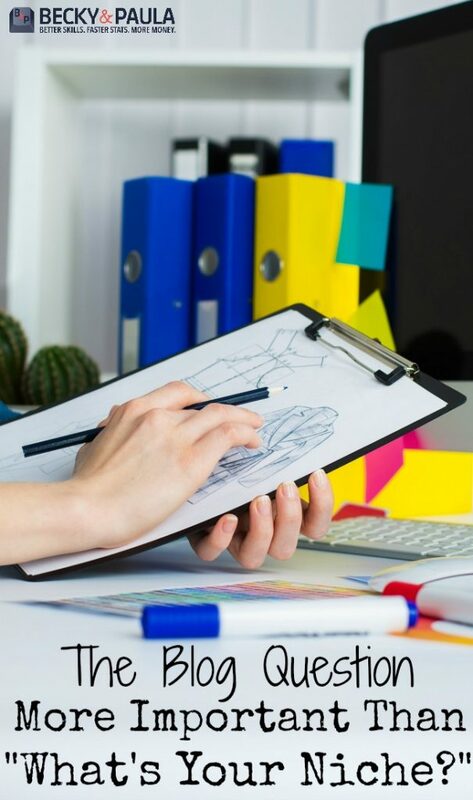 When they come to your site, they feel like everything there was written for them, instead of reading one post and hopping along to the next blog. My audience on Beauty Through Imperfection is comprised of women between the ages of 25-35 who have children age 7 and under. Many of my readers are pregnant or have just had a new baby. My readers are budget savvy and are always looking for ways to save time so they can spend more time with their children. Many of these topics I would have avoided if I hammered myself into just parenting. In fact, one of my most viral posts to date has been a meal planning method that I almost didn’t post because I didn’t think it fit the niche of my blog, because I was still buying into the niche-only myth at the time! Even if you have a narrower niche, it’s still important to define your reader. For example, if you are doing a food blog, you might think you’re off the hook. You just post recipes right? That’s all that matters? Wrong! Defining who you are talking to will let you know what kind of recipes you should post. Are your readers foodies who want the most gourmet intricate meal possible? Or are they looking for quick and easy? Do your readers have money, or are they on a tighter budget? The answer to this question will let you know what type of ingredients you should use. Do your readers live alone or with family? That answer will show you what portion sizes you should focus on. Knowing your target reader will also enable you to think through specific problems they might be facing so that you can create products, books and even blog post series that will help them through their challenges in life. Question time – Who is your target reader? Is this a question you have answered or have you focused more on niche than your readers? If you need help working on this, we’ve created a worksheet and a three hour video blog intensive that will help you define your audience and increase your reach across social media. 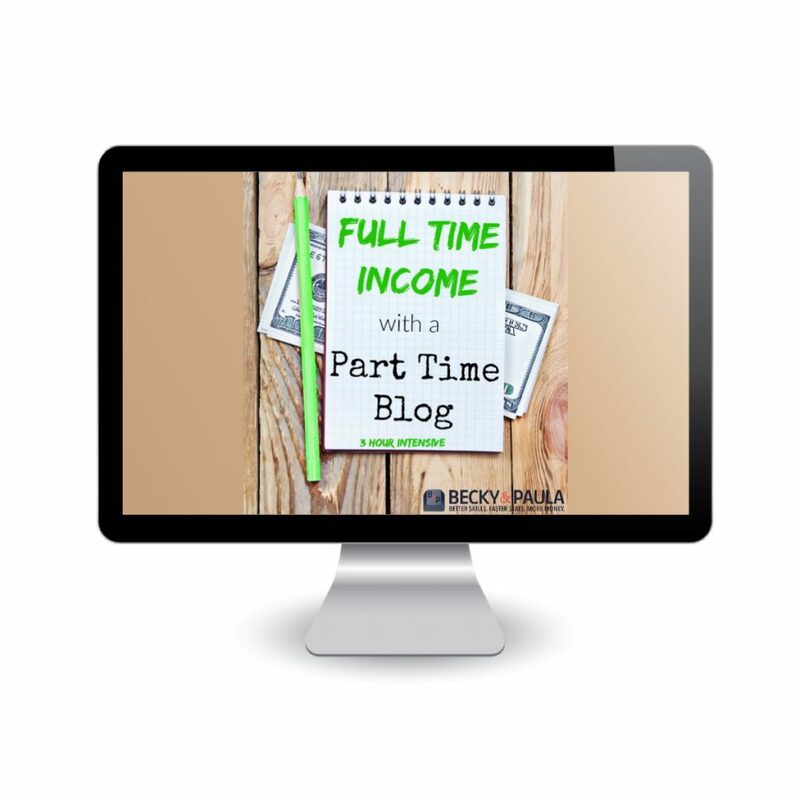 This is also a huge way for you to make the most of all of the hours you spend working on your blog, and help you earn a full time income with your blog, even on part-time hours! We’d love for you to check it out! Is age always important in narrowing down your target audience? I thought that my audience was mostly women in their 30’s, but I did a reader survey and found out that over half of my readers are in their 50’s and 60’s! Most everything else about my readers is the same. But I have a huge age difference in my audience.